Talk about a hard list to narrow down to just 10 choices! 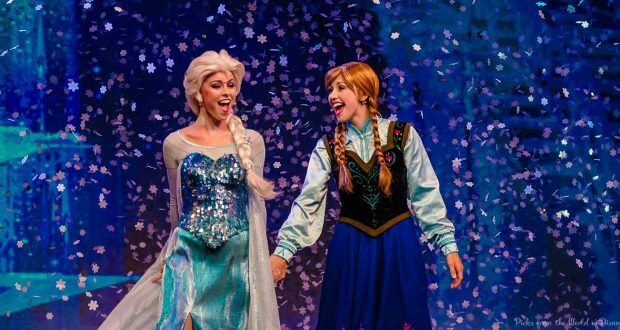 Songs from Disney movies quickly become popular for many reasons, and many of the key songs from classic movies continue to be popular today. For this list I chose to stick with the “newer” movies (since 1989). Maybe a future post can be the top 10 songs from classic Disney movies. What a wonderful phrase! How many of us use this phrase in conversation? And probably even more of you are humming the tune right now. This catchy tune from the Lion King tells us “No Worries!” And, in this writer’s opinion, it’s even better than Bobby McFerrin’s “Don’t Worry Be Happy.” Written by Sir Elton John, this song was nominated for the Best Song Academy Award but lost out to Can You Feel The Love Tonight (also from Lion King). It did rank among the American Film Institute’s top 100 songs for 100 years of films at number 99. This is probably the only song by Angela Lansbury in your iTunes library. Or you may have the pop version by Celine Dion and Peabo Bryson (or both like me). This award winning love song (including an Academy Award for Best Original Song) takes you back to the glorious ballroom scene in the movie. It was also a success on the popular music charts with the Dion/Bryson version reach number 9 on the Billboard Hot 100. The great success of the movie Tangled and Rapunzel as a character served as another re-launch of Disney Animation Studios. An excellent soundtrack with vocals by Mandy Moore helped to make Rapunzel a strong princess in the eyes of many young girls. In particular “When Will My Life Begin” and “I See the Light” are beautiful songs bringing back the composing power of Alan Menken to Disney films, along with the talents of lyricist Glenn Slater. This ballad from Aladdin has found its way into popular music with versions by several artists. Of course in the movie Aladdin and Jasmine sang this to each other, and it was also performed by Peabo Bryson and Regina Belle. Allan Menken composed and Tim Rice wrote the lyrics for this love song that eventually won the Oscar for Best Song. I love the version in Philharmagic while you are riding along on the Magic Carpet. 6. Frozen: For the First Time in Forever & Do You Want To Build A Snowman? I almost feel like I don’t need to write anything for these two. And really all of the vocal pieces on the Frozen soundtrack are outstanding. The song writing team of Kristen Anderson-Lopez and Robert Lopez really outdid themselves. And the voices of Kristen Bell and Idina Menzel are perfect for these pieces. The album itself debuted at number 18 on the Billboard chart and has topped the album chart for many weeks. I would say that classifies it as popular. From the movie that originally re-launched Disney Animation in 1989. The dynamic duo of Alan Menken and Howard Ashman created a wonderful soundtrack that brought this film to life. Both of these Calypso inspired songs were performed by Sebastian the crab in the movie (Samuel E. Wright). They were both nominated for the Academy Award nominated for Best Song, with Under the Sea taking the title. And I bet that you are singing one of these songs right now. Who is singing the intro? That’s the thing with Disney songs, they are just so darn catchy. This is another one by Menken and Ashman that just fits the film so perfectly and translates into a song that you don’t mind listening to all by itself. And I would say that inspiring a restaurant and a dessert (the grey stuff) is well worth ranking it in the top 5. One of my personal favorites from the Little Mermaid. Like Number 1 this is one of those songs I crank up in the car and sing at the top of my off key lungs much to the embarrassment of my sons. Jody Benson’s beautiful voice is the perfect complement to Menken and Ashman’s song about a teenage girl trying to find her way in the world. No big surprise there, right? I must say that I only listen to the Idina Menzel version, though I know the Demi Lovato version has its place as a pop song. The Broadway quality of this piece is amazing—the music, the lyrics and the performance all come together to make it not only my number 1 choice, but also another Best Song winner for a Disney animated film song. Like #3 this one also tells about a young lady trying to find her place in the world. And with all of the cover versions on YouTube and Facebook I’m pretty sure that not many people can argue with its popularity. Oh Moana… the movie that finally let us stop singing “Let It Go” over and over again… leaving us with some popular hits like “How Far I’ll Go” and “You’ve Welcome”. Auli’i Cravalho’s voice is beautiful and takes us through all the emotions as her character, Moana tried to find her place in “How Far I’ll Go”. Then there’s Dwayne Johnson who rocked “You’re Welcome” with his animated character Maui, the demigod. So, there are my choices for the top 10 (and maybe a little more) most popular (recent) Disney songs. Which song tops your list?